Android and cars? You must be thinking those two don’t really go together. Well, folks from Audi and Volvo seem to think different. Two big automakers will use Google technology to help power their car infotainment systems. Google already has an Android Auto app for cars, which is a casted interface that runs on a smartphones and uses the in-dash car display as an external touchscreen monitor, but this is a bit different. You might, or might not, remember quite some time ago Google mentioning their vision, “Android in vehicles”, and now they are ready to show the world what they’ve engineered. They announced last week that both Audi and Volvo will be tapped to build Android right into their vehicles. Although, we didn’t get a lot of information back then, Google unveiled their project to the world at Google I/O later that same week. The project doesn’t really have an official name, but it is known internally as ‘Android Automotive,’ which might seem a bit weird, considering all of their individual projects like smartwatch, TV and others have specific names to differentiate them from smartphone UI. Well, someone could argue that the best possible name is already taken by Android Auto, but let’s just leave it to the folks at Google, they will surely find a suitable name in no time. Several carmakers already use some version of Android in their cars, but Google has never been involved before, which means those cars have an Android source code reconfigured to work as a car operating system. The process of reconfiguring the code usually means a lot of development time and the resulting product is very out of date when it finally hits the market. Google decided to help car manufacturers and made a deal with a few of them to showcase their new project. 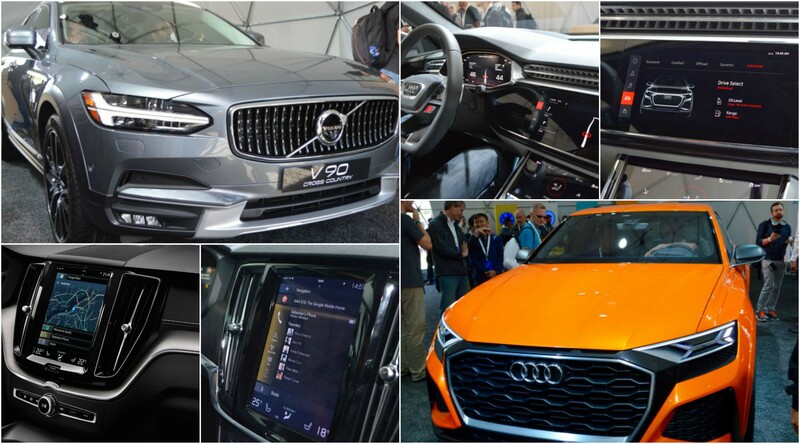 At Google I/O, they used a bright orange Audi Q8 concept car and a Volvo V90 Cross Country to provide the visitors with a first look at the new Android OS for vehicles. Both cars were running Android 7.0 and they are planning to move the system to Android O once it becomes available, since it was built with automotive in mind. The visitors could see the system works just like on their smartphones, with all the Google apps fully functional, just with additional car control options added on top. I think that’s informative enough for you, now let’s talk some practical stuff. Like how could we at Croatia Tech use all this information to make the world a better place. Well, for starters, our software development team can help you with the implementation of the Android system into the vehicles of other car manufacturers. Or, our engineering team could find a way to connect even more car control functions into the OS. Now that the cat is out of the bag, the next wave of opportunities for startups could lie in developing car tech applications. As we continue to see Google get their OS into every aspect of our lives, and that could be either a very good thing or a bad thing, depending on who you ask. We think that could be a very good thing if we can implement it in a correct way. Just like they made regular TV’s into smart TV’s, there is a lot of value that can be provided in turning older cars into smarter cars. We would all stand to benefit if they could potentially lower the number of accidents caused by using a phone while driving, or by integrating some additional sensors to enable the car to be aware of its surroundings. If there is a way to simplify our daily lives beyond playing Clash of Clans, Pokemon Go or Candy Crush on the car dashboard, we say: Go for it!